Town Bridge opened in 1883 having replaced a historic crossing built 500 years previous. At the time of opening it was the only bridge over the River Parrett. The wrought iron arched ribs and bracing are a notable feature alluding to the structures Victorian heritage. Design Base are members of the Survey Association (TSA). 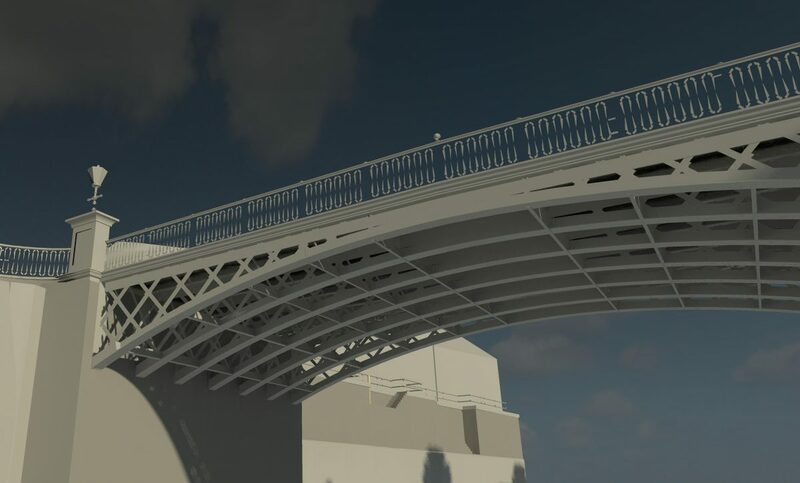 Through the Association we have worked with several practices generating 3D Revit Models from their point cloud survey. Town Bridge is an excellent illustration of this workflow. 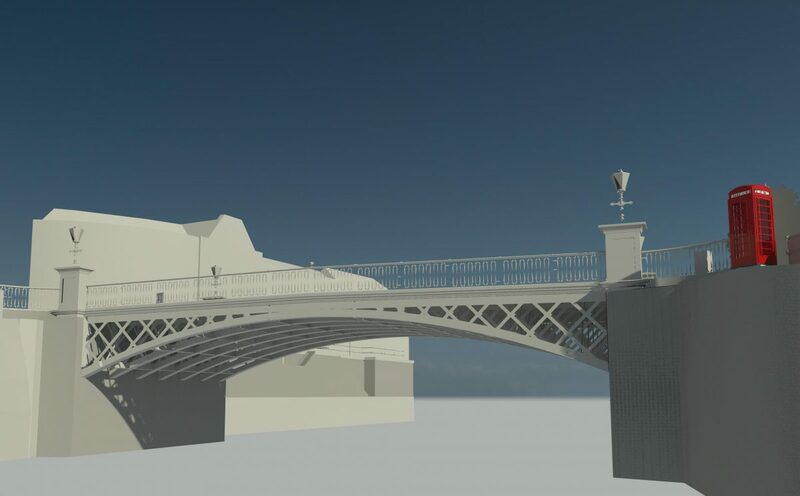 Commissioned by Lewis Brown we worked in close partnership to develop a survey and modelling specification that captured the requirements of the end Client and our own needs for the integrity of the scan data and resolution of the point cloud. The result is another super example of the Scan to Revit solution highlighting its clear advantage over a traditional 2D CAD process. The full colour point cloud is an outstanding achievement that made the modelling process more enjoyable. Our thanks to Rob at Lewis Brown, we hope you like it as much as we do.